Scandal-prone VISIT FLORIDA just can't catch a break lately. After receiving criticism for spending millions on a video featuring rapper Pit Bull, a cooking show featuring Emeril Lagasse, a fishing show, and other questionable expenses, VISIT FLORIDA saw its budget stripped down from $76 million to $25 million by the Florida Legislature this year. 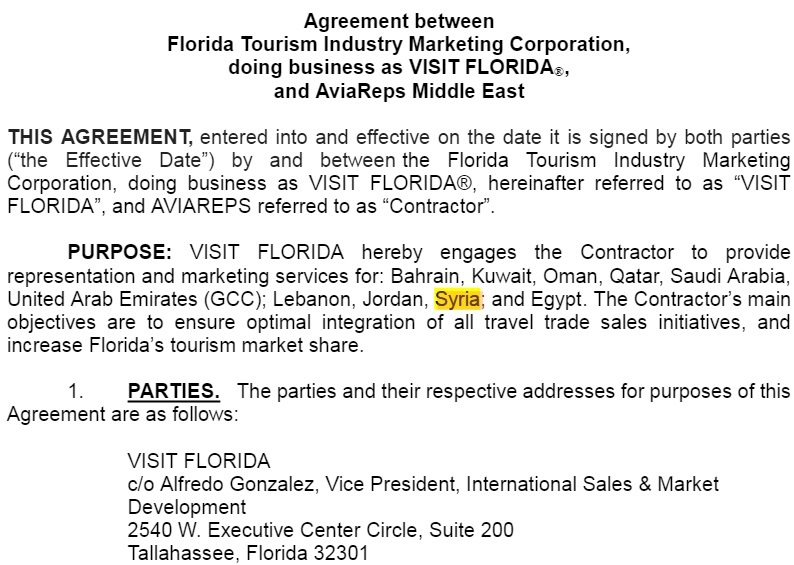 Now, the Sunshine State's travel agency was caught by Naples' Daily News spending money to market tourists from Syria, which is one of the Middle-Eastern countries subject to President Donald Trump's travel ban. Florida Governor Rick Scott has supported both travel bans issued by the Trump administration. Scott also opposed the relocation of Syrian refugees back in 2015. 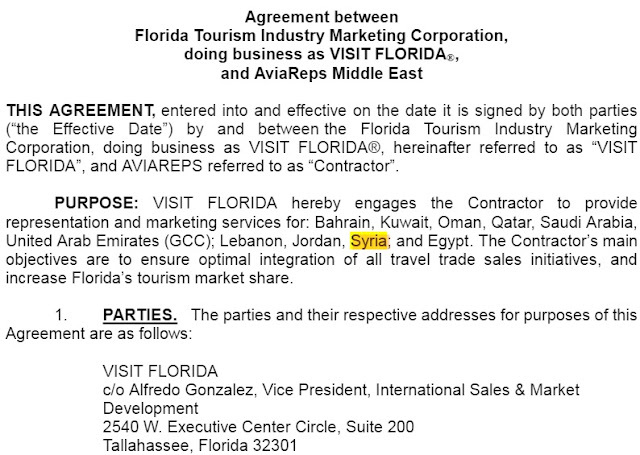 After the issue was brought to VISIT FLORIDA's attention by the newspaper, a new contract with the marketing company was made which excluded Syria.